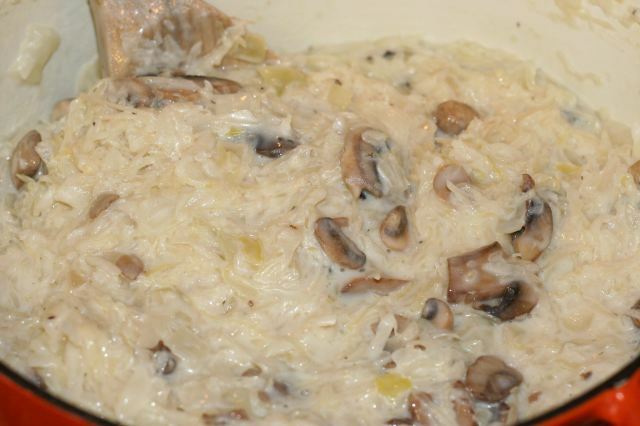 Ukrainian sauerkraut with mushroom sauce or Kapusta Pronounced: [kah-POOS-tah]. kapusta simply refers to this plain sauerkraut. 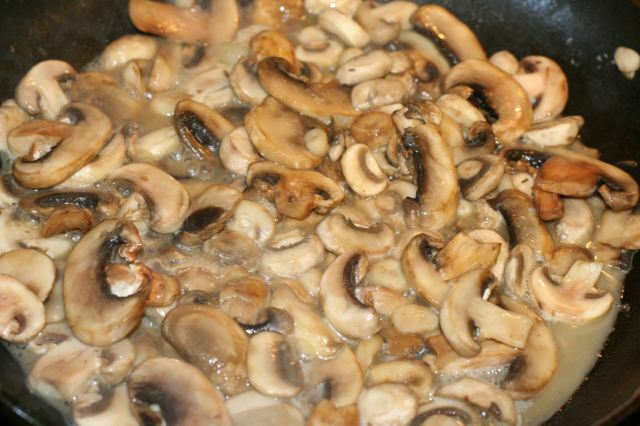 But in many Ukrainian homes, the kapusta base is frequently amplified with a mix of mushrooms and onions, and that is what is meant by the term kapusta. This is my mom’s recipe and one of my families’ most favorite dish for the holidays. We made this every holiday and if we didn’t there would be hell to pay. It is simply the most simple dish with loads of flavor. If you love cooked cabbage you will love this even more! Cook over medium heat until the kraut is cooked through and no longer stiff. Salt and pepper to taste.